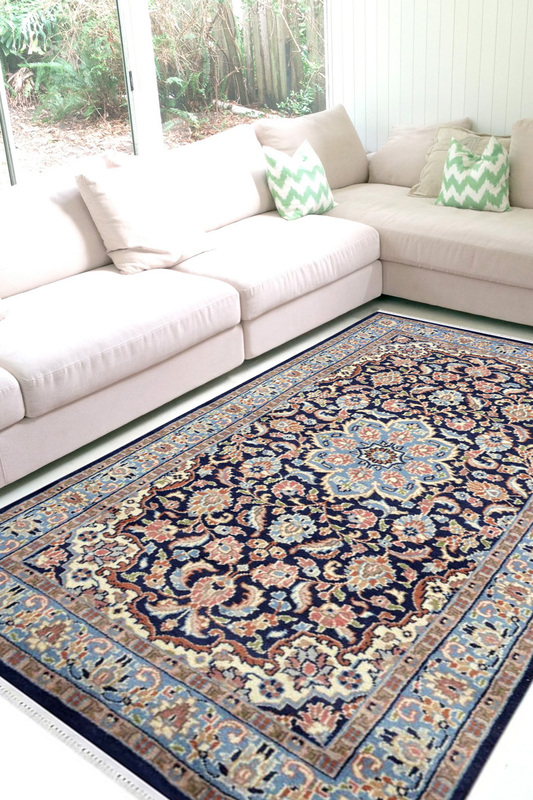 Persian Passion is a "One of a kind" and very rare collection of Rugs and beyond. It has very intricate design pattern. This is the time to decorate your room in a different way by using this beautiful carpet which is sure to very helpful to adore your place. - Intricately woven with such perfection, it has a beautiful color collaboration in the pure floral pattern. - The floral pattern is most of the famous pattern for the carpets. - When you place it in your bedroom, you will feel like you laying in a flower garden. - It has taken about 8-9 months to weave. - This carpet has 3' x 5' ft / 92cm x 153cm size which is really good for any place. - The primary colors are Dark blue with a shade of very light sky blue. - The center with flower design increase the beauty and make different from other carpets.